A former expat Rose Previte introduces Americans to a dish Russians already love. 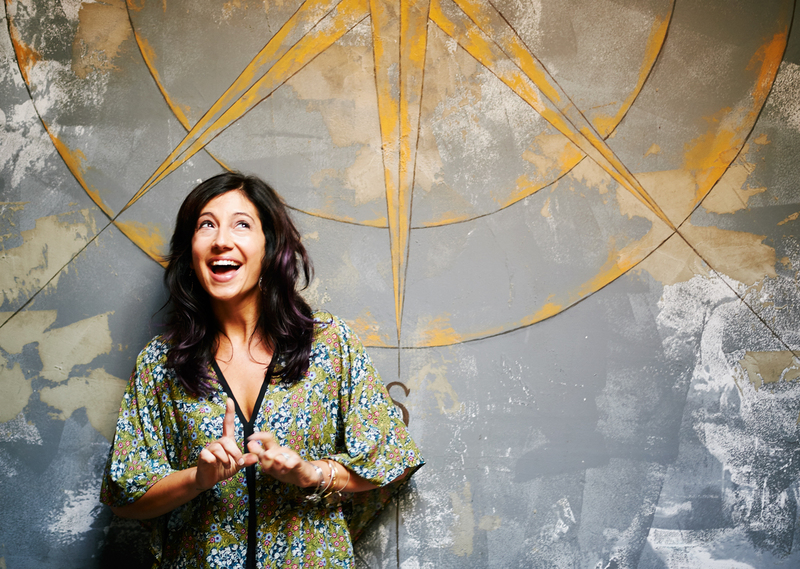 The idea for Rose Previte’s popular street food restaurant Compass Rose came during her three years living in the Russian capital and exploring the foods of the former Soviet Union. In early October, the Washington, DC foodie website Eater released it’s annual ranking of the best places to eat in the U.S. capital. For the second year in a row, Compass Rose was among them. Like many other websites and magazines that have praised the two-year-old restaurant, including the Washington Post Fall 2016 Dining Guide, Eater singled out the café’s signature dish — khachapuri. Although the cheese-filled bread is Georgian in origin, it became a popular addition Russian diet during the Soviet period. Cheap and flavorful, Georgian cuisine quickly found fans among Russian diners and today a visit to a Georgian restaurant is a must for any visitor to Moscow. Previte herself is not Georgian. Nor is she trained as a restaurateur, although she worked since college in restaurants and bars. She came to the food — and the profession — via three years as an expat wife in Moscow. “During those Russian winters, you really have time to examine your soul and figure out what you want to do with your life,” Previte said during a recent interview at the cozy restaurant space in Washington’s trendy U Street corridor. Previte, a fiercely independent woman who left behind a promising career in public service with the city council of New York to follow her journalist husband’s dream of being a foreign correspondent, found little to capture her interest in the international women’s organizations or charity clubs that make up the life of trailing spouses abroad. “I was building my career and then I was in like, sewing circles. I thought I was going to lose my mind,” Previte said. She decided fairly early in the experience that she would travel with her husband and discover the former Soviet Union through its food. “I quickly realized that I was just going to travel. The travel, the time to not work, I really had more time than I’d had in my adult life to think about what I really wanted to do. So, I thought, ‘you love traveling, you love food, you love serving people,” Previte said, and over time, those loves developed into a plan to open a restaurant after she moved to Washington in 2012. Compass Rose serves “international street food,” a concept rooted in both Previte’s travels and her upbringing. Her mother was Lebanese-American who grew up in the Lebanese community in Detroit and her father was Italian-American from New Jersey. The couple decided to raise their family in a small farm town in Ohio where her father taught at a local college. They kept their multicultural heritage alive primarily through cooking. The menu at Compass Rose is a mix of dishes from her childhood, her travels and the experience of the restaurant’s first chef, John Paul Damato. At first Previte considered opening a Georgian restaurant in Washington, but decided that, as a non-Georgian, that wouldn’t be appropriate. It also wouldn’t give her the chance to bring in all the flavors she loves. So, Previte and Damato agreed to introduce one dish — khachapuri. She gives Damato credit for the decision to serve Adjaran khachapuri, the open-faced version with an egg on top. Previte toys with the idea of introducing other Georgian items to the menu, but thinks that including khachapuri in with other cuisines people already knew helped contribute to its popularity. “My friend and wine supplier has said multiple times, ‘you made it mainstream, so that it was just a normal thing – you have a hamburger on the menu, you have khachapuri on the menu.’” Previte said. For one thing, the khachapuri at Compass Rose isn’t made with the traditional Georgian cheese sulguni. “We can’t import sulguni because it’s isn’t pasteurized, so the chef had to come up with the right mix of cheeses to come as close as possible to sulguni and because I was the only one who knew what it tasted like, I had to eat like 100 khachapuri. We mix feta, ricotta and mozzarella and it’s a blend that comes with a touch of the saltiness and a touch of the sourness,” Previte said. One of the original goals of Compass Rose was to connect people to flavors they experienced when traveling. “My favorite thing is when I walk around here and hear people saying “oh, I had this in India, I had this in Venezuela, because it’s all about stirring up the memory,” Previte said. And every time she smells khachapuri coming up from the kitchen, it takes her back to Moscow.